Major Roger Bailey USAF (Ret) earned his wings on 9-24-13. 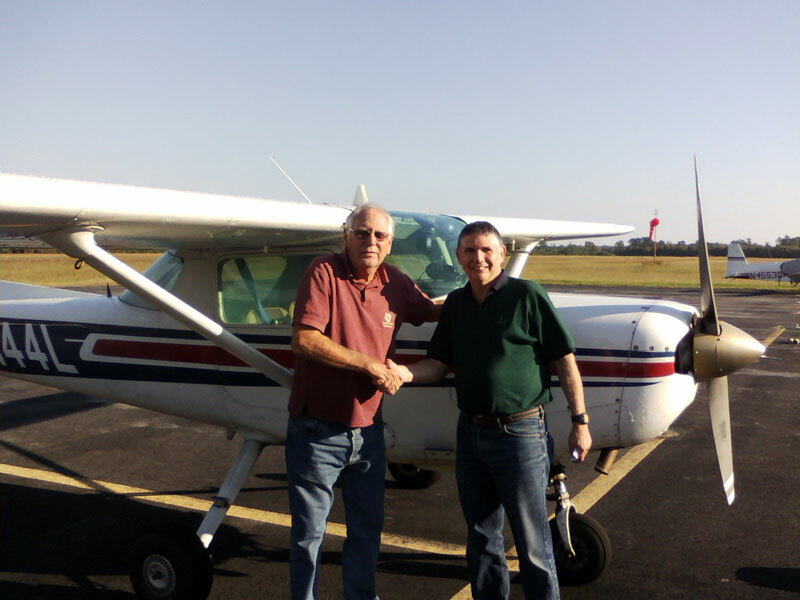 He passed his Private Pilot check ride with DPE Henry Joyner at the Tri-County Airport in Ahoskie, NC (KASJ). Roger flew into the wild blue yonder in a Cessna 152, N5144L. 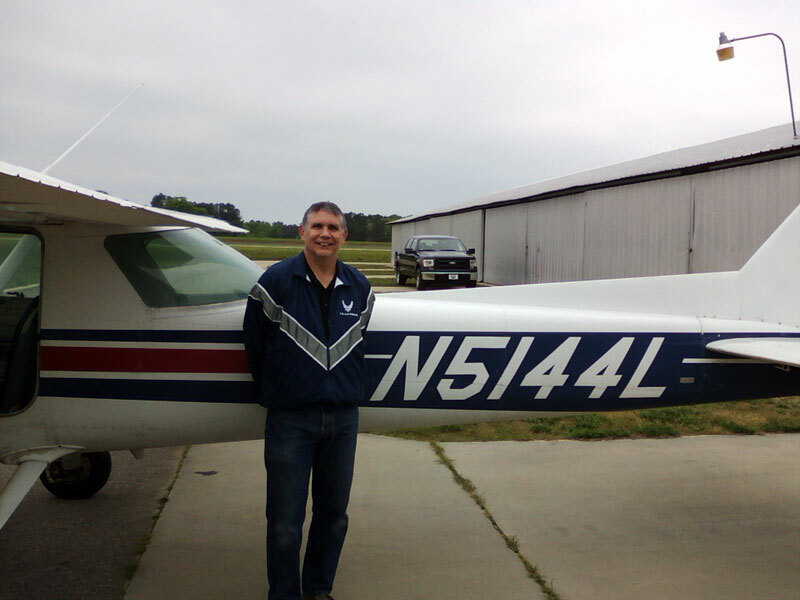 Here’s a photo of Major Bailey after his solo flight on April 28, 2013. Major Bailey is an Air Force Junior ROTC Instructor at Riverside High School in Durham, NC.